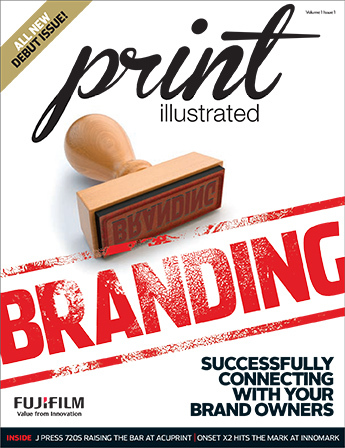 Fujifilm debuted the first issue of Print Illustrated, an in-house produced, business-to-business magazine that offers great insight and a wealth of information for industry professionals. The publication provides feature articles on industry trends and topics, spotlights on the latest technologies and innovations, and success stories highlighting Fujifilm customers. The quarterly publication is provided free to qualified print providers in North America. Fujifilm held an exciting exhibit at PRINT17, an exposition of the latest digital inkjet technologies, products and services which occurs every four years. Fujifilm’s display gave attendees the opportunity to see how innovations in traditional offset printing and developments in digital toner and inkjet technology are changing the dynamics of print. The J Press 720S drew big crowds at the show, as did the debut of the new Onset M, a B1 format sheetfed digital UV inkjet printer specifically developed to offer a high quality, short run solution for sign and display, commercial and industrial print applications. 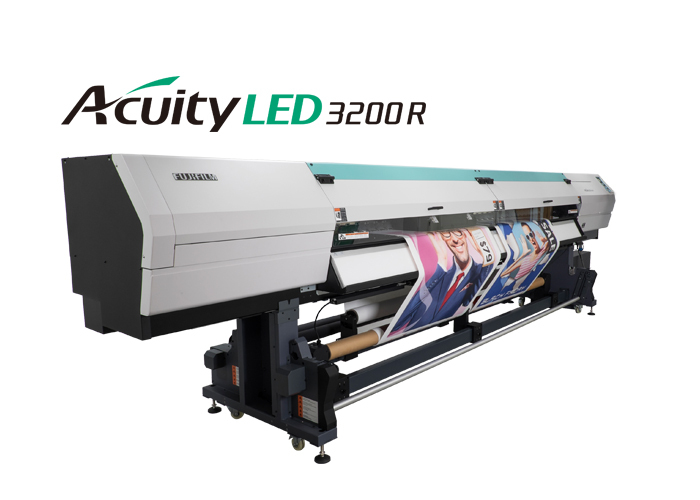 The Acuity 3200R super-wide format roll printer for production of high quality display and exhibition graphics was also unveiled at PRINT17. And, Fujifilm launched its ColorPath Brand Color Optimizer, a tool that quickly and accurately develops a brand color library, as well as featured a technology display of the Samba printheads for imprinting applications. Furthermore, Fujifilm introduced the long run, processless Superia ZD offset plate technology at PRINT17, where it won the Printing News 2017 ‘Top Product’ award for Consumables. Fujifilm was also a two-time winner of PRINT17’s 44 Must See ‘Ems – the exhibits on the show floor that attendees simply can’t miss. The J Press 720S was named as a Must See ‘Em for Digital Presses, while Samba printhead solutions were acknowledged for the Future of Print. Fujifilm and Xerox® announced a reseller agreement for Xerox to market and sell the Fujifilm J Press 720S in the U.S. and Canada. This agreement expands an existing and successful long term dealer agreement between Xerox and Fujifilm and leverages each company’s strength and presence in both graphic communications and large enterprise printing operations. The agreement also expands Fujifilm’s distribution of Xerox inkjet products including the Xerox Trivor™ 2400 Inkjet Press, the Xerox Rialto™ 900, and the Xerox Brenva™ HD Production Inkjet Press. Fujifilm’s advanced inkjet innovations were showcased at SGIA Expo 2017, the largest printing trade show in North America with over 19,000 attendees and nearly 600 exhibitors. Fujifilm proudly sponsored SGIA Expo and was one of only six exhibitors to be a platinum level sponsor. Fujifilm drew large crowds to see the Onset X3 with robotic material handling and the North American debut of the SpyderX, a flexible and powerful flatbed and roll-to-roll UV inkjet press. The Fujifilm exhibit also featured the Onset M, Acuity 3200R and Acuity Select flatbed printers. In addition, Rebecca McConnell and Kaz Kudo, Product Marketing Managers at Fujifilm gave presentations to SGIA attendees. McConnell spoke about the future of digital corrugated technology, noting that corrugated is moving more toward inkjet and that solutions have been developed to meet shifting market demands and industry trends. Kudo spoke about application possibilities with flatbed printers and presented samples showing thermoforming, producing textured prints, and creating prints using white inks. Fujifilm exhibited at Labelexpo Europe 2017 in Brussels and introduced the Illumina LED Retrofit System, which converts any traditional UV or waterbase flexo press to LED-UV curing. This system, along with Fujifilm’s new Series 300 UV LED flexo inks, reduces energy consumption and opens up new application opportunities such as thin films and shrink sleeves. Fujifilm also became a member of the Independent Packaging Association (AICC), and presented Production Inkjet for Corrugated at their Summit in Louisville, KY and also presented industry trends at its National Meeting. Fujifilm returned as a sponsor of the fifth annual Inkjet Summit, an invitation only event that offers senior managers and business executives strategic insights into what printing industry leaders should do to improve and optimize their business. Inkjet Summit 2017 was once again a major success and provided a focused and intimate conference for both sponsors and attendees. Fujifilm also returned as a sponsor of Digital Packaging Summit 2017, where Mike Barry, Fujifilm Product Marketing Manager – Digital Solutions, joined a panel of suppliers to discuss the impact that hybrid flexo/inkjet printing technology will have in packaging. Barry shared how important it is to partner with customers as they investigate hybrid solutions like Fujifilm’s Graphium UV Digital Hybrid Inkjet Press. 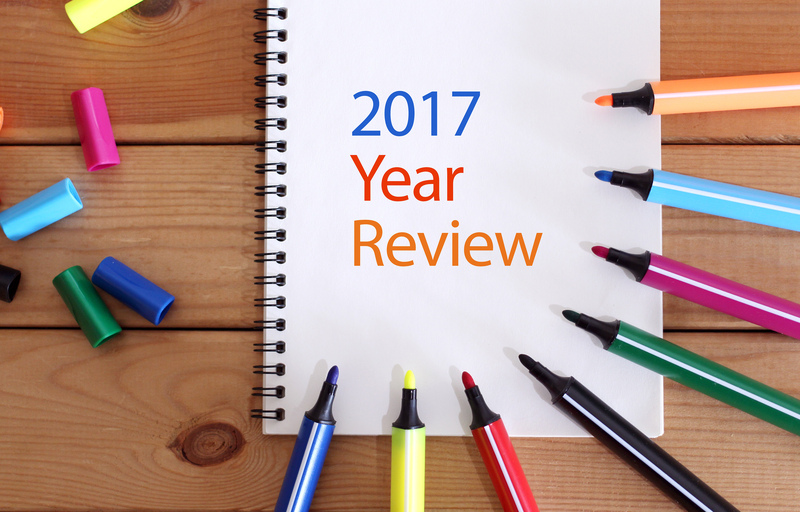 At Fujifilm, 2017 has been a year full of innovations that help printers print better and win more business. 2018 is looking to be even more exciting.